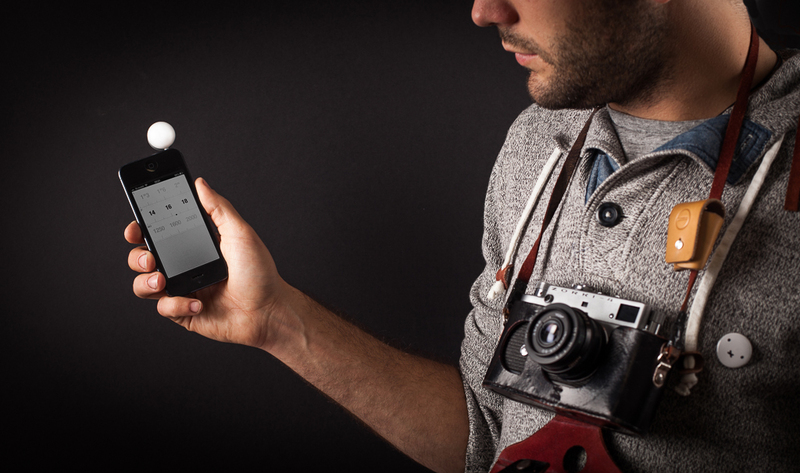 Lumu is a tiny, portable light meter that plugs into the iPhone’s headphone jack to help budding photographers get the perfect exposure and figure out the perfect shutter speed, aperture and ISO setting to select on their analog or digital camera. The company launched a Kickstarter campaign earlier today to fund the product, which is roughly the size of a coin – albeit with a dome on top that makes it twice as thick as the current generation iPhone (or thereabouts). It’s incredibly elegant and can even be used with a standard iPhone bumper, given that there’s a 2.2mm gap between the headphone jack and the start of the meter. So why use Lumu? Well, the device records incident light, or the brightness of light that reaches the subject before it’s reflected. This is an accurate form of light metering for measuring the light coming towards an object, but might not give the most accurate representation for the exposure as a whole (as you might require certain areas to be ligher or darker than normal). The alternative is reflective light meters – those used in the camera itself, which measures the brightness of the light bouncing off the subject. This can occasionally result in misreadings. For shutter bugs in the know, the measuring range for the Lumu is 0.15 ro 250,000 lux (EV -4 to 20) for ambient incident light, or ISO 100. It also uses a cardioid-type hemispherical diffuser – the half-sphere found on top – and draws power from the audio jack. So there’s no batteries to worry about, which is also a massive bonus for when you’re out in the field. 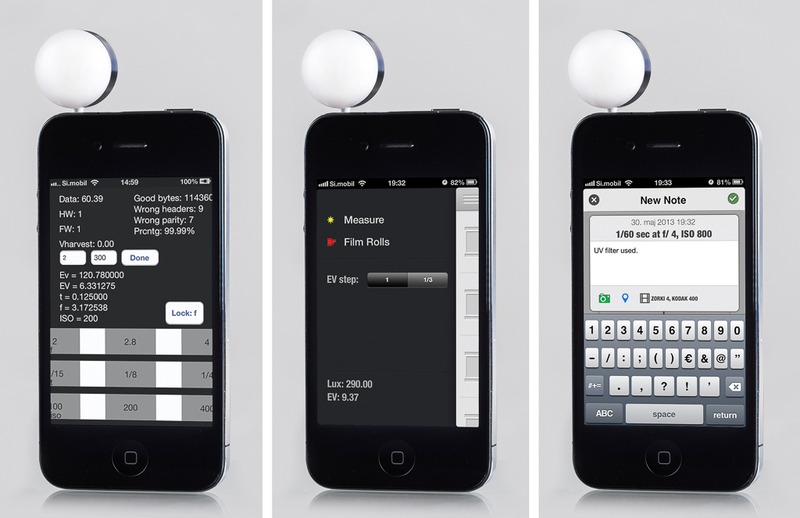 Lumu also has an app to accompany the portable light meter. It’s pretty gorgeous to look at – more so than Luxi, another incident light meter that launched on Kickstarter earlier this year and subsequently smashed its funding target. There’s just a few horizontal rings for the shutter speed, aperture and ISO setting, displayed in clear, crisp text with either a light or dark color scheme. It’s also possible to save settings and sync them to the cloud, which is incredibly useful for those who regularly shoot in the same location – an indoor studio, for example, or a local concert hall. Lumu is beautiful in its simplicity and the company has produced some suitably polished transportation options to ensure that photographers are always carrying it around. The Lumubag is a small leather pouch that mimics the traditional bags used with analog SLR cameras, or the Lumuneck is available for those who want it a little closer to home. The Lumu is a far more elegant solution than Luxi, but you’ll pay for the privilege. Luxi started its backer tiers at $14 for a basic light meter, while Lumu has ramped that up to $79 for an early bird pack. Regardless, the company has 25 days to hit its funding goal of $20,000. Given that it’s already passed the $7,500, we’re going to go out on a limb and say it’ll soar past that milestone no problem.